The recent OFGEM rulings against one of the big UK energy suppliers has cost the group 10.5 million pounds in fines. Their mis-selling of electricity tariffs to UK consumers has cost them dearly. You’d hope that the slapped wrist would set them straight. It seems that now though, that they are selling (or perhaps mis-selling) electric night-storage heaters. Off-peak tariffs are very profitable for the energy suppliers. As we have discussed in previous posts, electric storage heaters are hopeless. They are outdated, ineffective, and uncontrollable. Not only this, but the Economy 7 tariff which they rely on, is extremely expensive and inflexible. For these reasons, storage heaters are fast becoming a thing of the past. They are rarely specified for new-build developments, or refurbishments any more. Most developers and homeowners are now opting for more cost-effective, adaptable, and efficient alternatives, such as the Vantage and Economiser electric radiator systems. Why then, are some energy suppliers now pushing night storage heaters, as a modern, energy- efficient “low-cost, low-carbon” electric heating solution? Quite simply, we think that they want to sell their highly profitable Economy 7 tariff, and the only way to do this, is to promote night-storage heaters. Suppliers can buy the “off-peak” night-time electricity, at very low wholesale prices due to the low demand, and sell it through their “Economy 7” tariff. This is an extremely profitable revenue stream for them, but to maintain it, they must create demand for this night-time electricity, by actively selling night storage heaters. Although storage heaters now look better, little has changed. Our view is that night storage heaters are not, and never have been “extremely efficient”, as they would now have us believe – nor are they in any way a “low carbon” electric heating method. 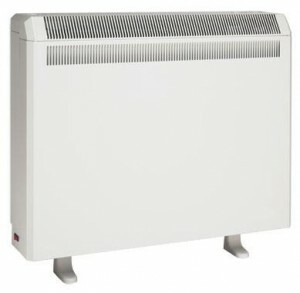 If a 3-4kw night storage heater can be replaced with an electric radiator of about half the wattage, which heats only when required, then how can it be efficient, or a lower-carbon option? This, in itself, sounds like another instance of misleading consumers. Storage heaters are inefficient. As the electricity is consumed, and turned into heat energy, physics dictates that it can’t simply be “stored”. The heat dissipates as it transfers through the internal insulation of the heater, into the room during the night, and when the occupier is at work. Where an overnight rate of around 7 pence per kilowatt hour may seem like a good deal, the consumer must look very carefully at the price applied to every kilowatt hour outside of the overnight hours. We have heard of charges in excess of 20 pence from some of our customers recently. Running lighting, fridge freezers, televisions, ovens, washing machines etc. on this rate, is most certainly not affordable – especially when there are standard tariffs available from just 11 pence per Kilowatt Hour. The Ecopower Heating view: There is only one winner where night storage heaters are concerned: the energy supplier.